NNA is honored to bring you new music from New York-based songwriter, musician, and visual artist Alice Cohen. 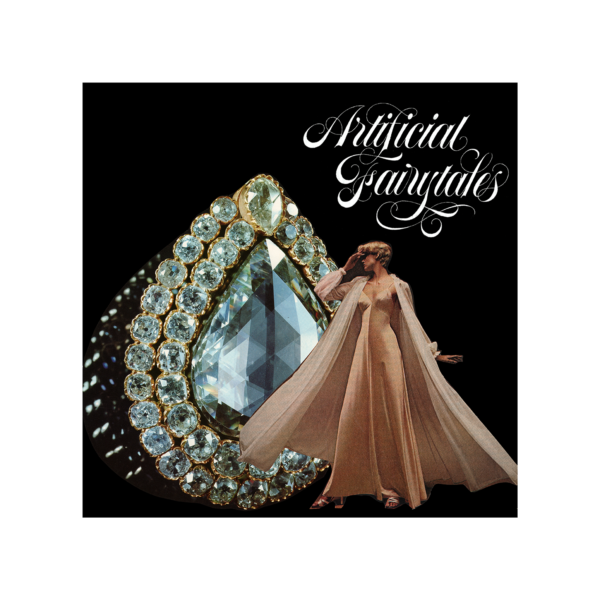 ‘Artificial Fairytales’ is the artist’s 6th full-length solo album, joined now by The Channel 14 Weather Team (Adrian Knight and David Lackner) on additional instrumentation. Cohen’s extensive and diverse career in music has formed her work into the unique breed of sophisticated pop that it is today, utilizing synthetic funk, club-like atmospheres, technical compositions and inventive production to create a sound that is both vintage and modern simultaneously, fitting in seamlessly with the current wave of underground New York City art pop. Cohen has spent the majority of her life immersed in music. The daughter of jazz musician parents in Philadelphia, she was influenced at an early age by “The Philly Sound” of soul music songwriting/production duo Gamble and Huff. Getting her start playing her songs in coffee shops, Cohen came up through the disco/funk era of the late 70s and early 80s both as a songwriter and in her band Fun City, before venturing off into synth pop in the mid-1980s with The Vels, then going on to sing and play bass in grunge rock outfit Die Monster Die in the 1990s. Since then, her solo work has built on elements from all of these experiences, as evidenced in her unique and personal hybridized sound. Now, with ‘Artificial Fairytales,’ Cohen has locked into a mode of expression that is dance floor-friendly, yet psychedelic and surreal enough to trip out to in any setting. While elements of these songs are extremely accessible, the deep variety of sonic coloring, dense layering, and creative use of synthesis work together to push the boundaries of status quo pop music. ‘Artificial Fairytales’ has the detail and presence of a studio album, but the fact that it was recorded at home reveals an extra dose of freedom, experimentation, and personality in its details. These 9 songs sit in the more glamorous zones of eighties club and R&B music, though laced with more modern cosmic tendencies through the delicious and stimulating blend of synthesizers, guitar, sax, flute, and drum machine. Thematically, the album explores the internal fantasy life of “outsider” characters, the theme of the Working Woman, and the transformation of the Old Maid archetype. The songs are reflections of the fairy tales we learn in childhood, reworked into the dreams and realities of a modern day woman. The prince on a white horse, the castles, and dragons, have all crumbled, and melted into a distorted plastic landscape. Women’s work and fantasy life form the undercurrent of ‘Artificial Fairytales’ and are expressed in everyday experiences: getting up at the crack of dawn to go to work, as well as the ”ladies of the night” who frolic in seedy motels and sailor bars. Throughout the album, liberation and escape are found in fantasy – on the dance floor, in night clubs and imaginary daydreams.